Monthly Favourites posts are probably one of my favourite posts to write and read. How appropriate?! But really, I am so excited to share with you some new discoveries from June. As always, I divided them into categories and I am starting with hair care. 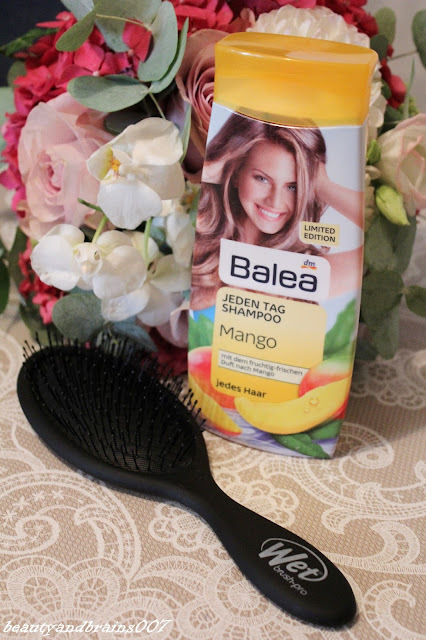 Since I wrote several hair care posts in June where I raved about new discovered products, it isn't really surprising that I am starting with them. Both of them have their detailed reviews, so I am going to be short here, but I just have to mention one more time how much I like The Balea LE Jeden Tag Mango Shampoo and The Wet Brush Pro. 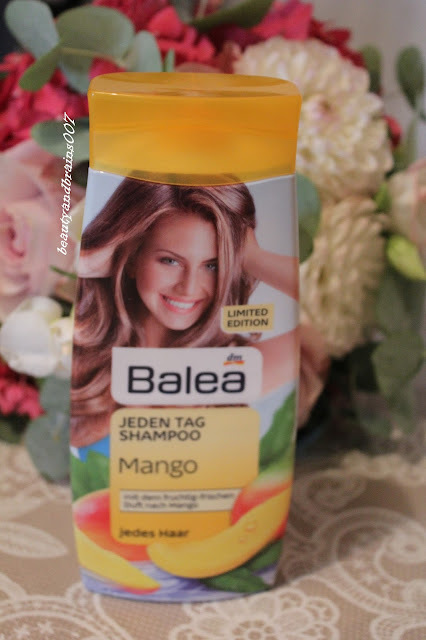 The Shampoo is mild enough for everyday use, but so efficient even on my greasy hair, and for such a friendly price. You really need to try it! 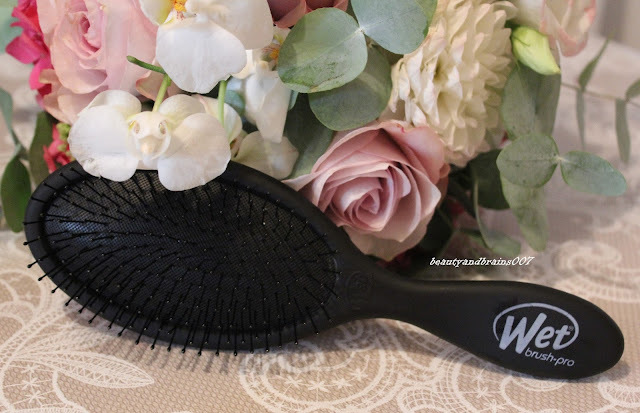 And the brush is a saviour for all you long haired gals out there who hate the amount of time and pain they need to detangle. It is amazing, quick, efficient, LOVE IT!!! And now onto body care where I had just one favourite. It is new in terms of me opening it, but in reality I bought it like two years ago... I am talking about The Collistar Talaso-Scrub Gold body scrub with salts and essential oils. 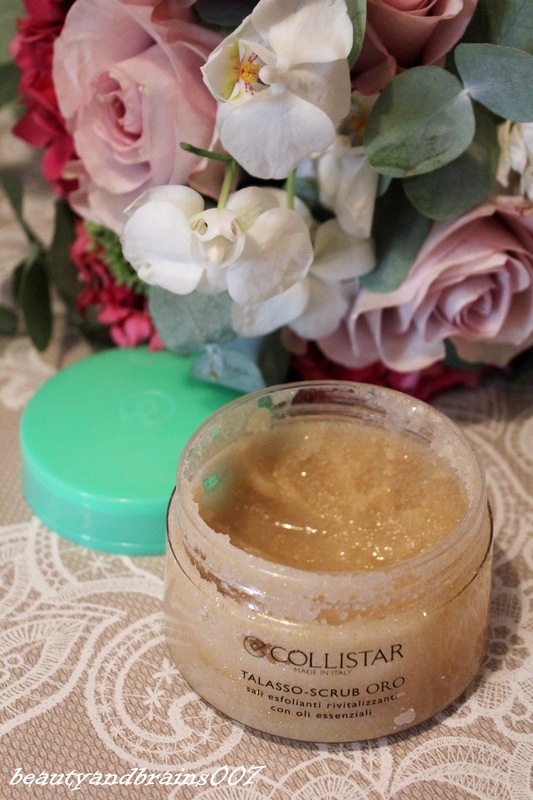 My pot was a part of their Celebration edition two years ago but Collistar as a brand is quite famous for their body scrubs and they have a lot to choose from for different skin types and their needs. 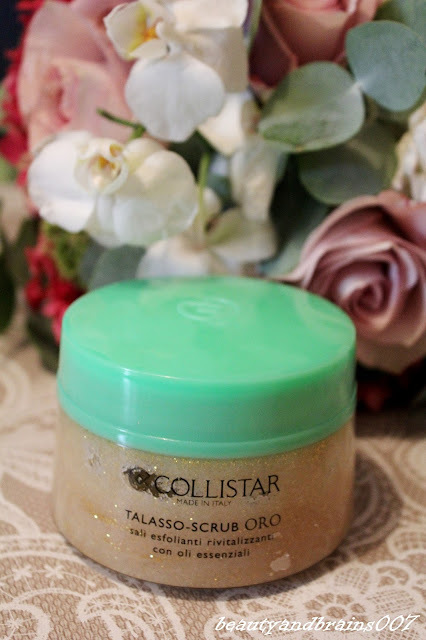 This one is a mechanical body scrub filled with oils, which makes it equally successful in removing dead skin cells, as with leaving your skin nice, smooth and nourished. Celebration edition scrub has small golden glitter particles which are quite nice. They stay on your skin but in a very pretty and sophisticated way. Opposite to body care, I did have a lot of new and loved face care products in June. Although I "met" them recently, we've spent a lot of time together in the last four or five weeks. Meaning, I played with them for a while before giving them the Favourite status. I wrote about my experience with Starskin products here, but even though I tried their sheet mask which was lovely, I was really wowed with their Starskin Instaglam Foaming Peeling Perfection Puff. My skin got a bit crazy at the end of May and I was left with dry patches and acne scars on my chin. I wanted to get rid of all that imperfections as quickly as possible so I tried with this puff. Let me tell you... This was magical. It erased redness, removed dry skin and left me with beautiful fresh skin as it was before "that time of the month". I really recommend this product and already bought myself a new puff in case my skin decides to get angry at me again. Just for reference, my skin is combination to oily and this puff didn't dry me out. 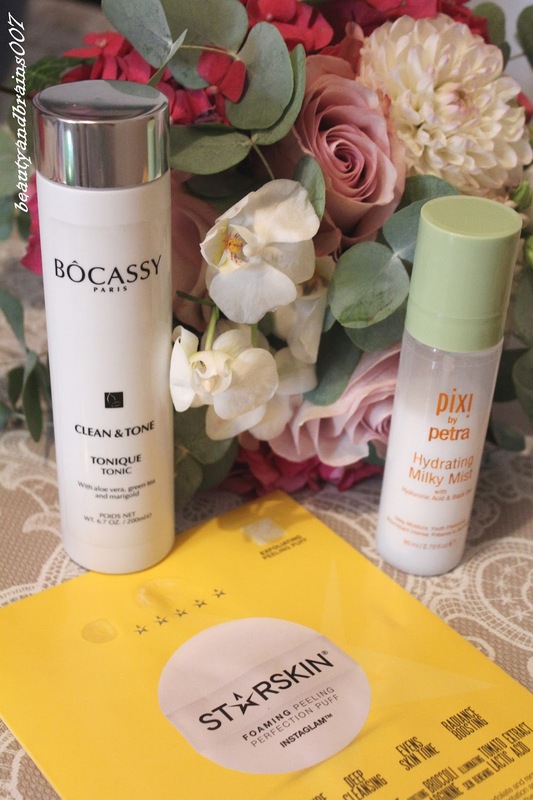 After a recommendation of a fellow blogger Mona Moon from Fantazija blog I bought The Bocassy Clean & Tone toner, which they have recently released. It is very similar to Olival's toner from their Immortelle line and if you like that one, chances are you will like this one as well. Although many people think of toners as cleansing products, toners are actually a very important skin care step. This one goes well with my combination, but currently quite oily skin. Refreshing but not aggresive or drying. The last product from this category is The Pixi by Petra Hydrating Milky Mist with hyaluronic acid and black oat. 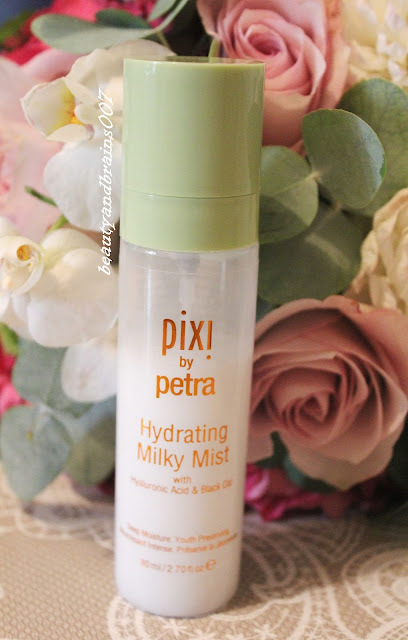 For me, this is a wonderful hydrating product which provides your skin with much needed moisture. And lets be honest... I am getting older with every beautiful new day and I want my skin to stay fresh and hydrated for as long as possible. This is not a makeup setting spray type of product, this is a step in your day or/and night time routine. You spray the mist on your clean face before serum, oil or cream and it will hydrate your skin and help your cream, serum or oil to penetrate deeper into the skin, making your routine more efficient. If you weren't crazy about the alcohol in The Caudalie Beauty Elixir, but you also didn't like The Caudalie Grape Water, and you are still looking for a similar alternative for yourself with hydrating benefits for your skin, try this one. I recommend it! 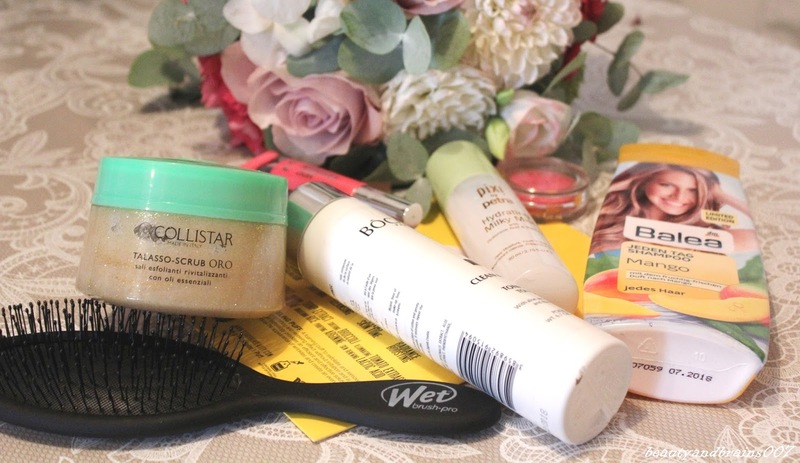 I loved all the above mentioned products, but last month I found some new gems in makeup area which makes me especially excited, and the best of all is that they are perfect for almost complete makeup look! 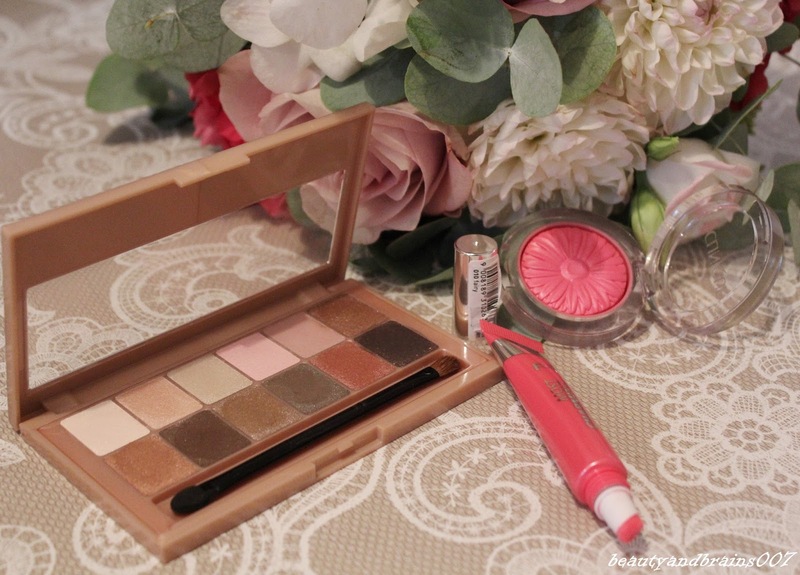 Although online Maybelline The Blushed Nudes Palette isn't really raved about, I like it! Eyeshadows are buttery, just enough pigmented, you don't get a lot of fallout (nevertheless I always tap excess product before applying it on my lids, no matter the brand), and they look perfectly natural but polished on this direct and strong summer sun. 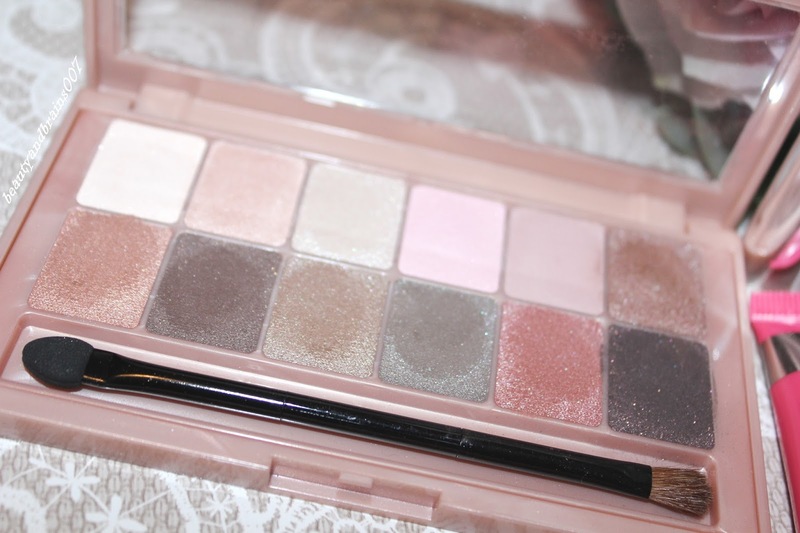 I was also surprised to see that this palette is made in Italy, just saying. I also have a new and beautiful cheek candy, my Clinique Cheek Pop blush in the shade Plum Pop. It looks quite strong in the packaging, and if I only saw a photo of it, I wouldn't have bought it. But... I swatched it in the shop and discovered a beautiful almost baby pink cool shade that looks wonderful on my fair complexion. LOVE IT! The last June makeup favourite is The P2 Most Charming Lip Fluid in the shade 010 Fairy. I bought it because I wanted to play with shades a little bit outside my usual comfort zone, so I went with this pinky-magenta shade. 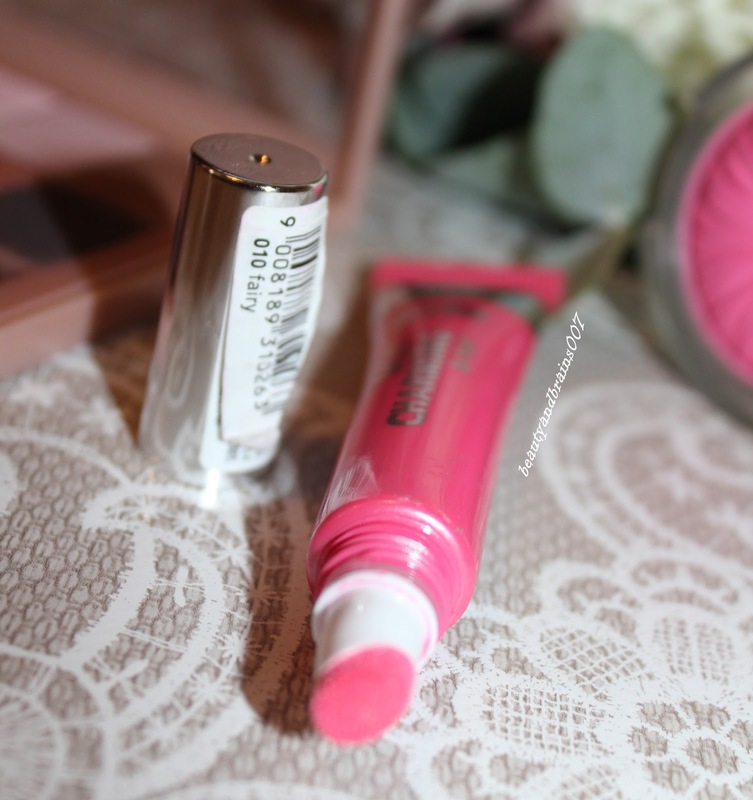 Let me start with its texture, it is something between liquid lipstick and lip gloss, but it is not very sticky like most lip glosses tend to be. It is quite pigmented if you apply a generous amount on your lips and if you want it to be more visible, but it can look very natural if applyed moderately. I personally enjoy playing with it! Unfortunately P2 isn't available in Croatia, which makes me sad because their products seem to be very nice and wallet friendly. For instance, this lip fluid costs 2.75 Euros. With lips in mind we have come to the end of this Favourites post. I am really thrilled with my new finds. What do you think about them? Which products were your Favourites during June? Beautiful favorites, girl. 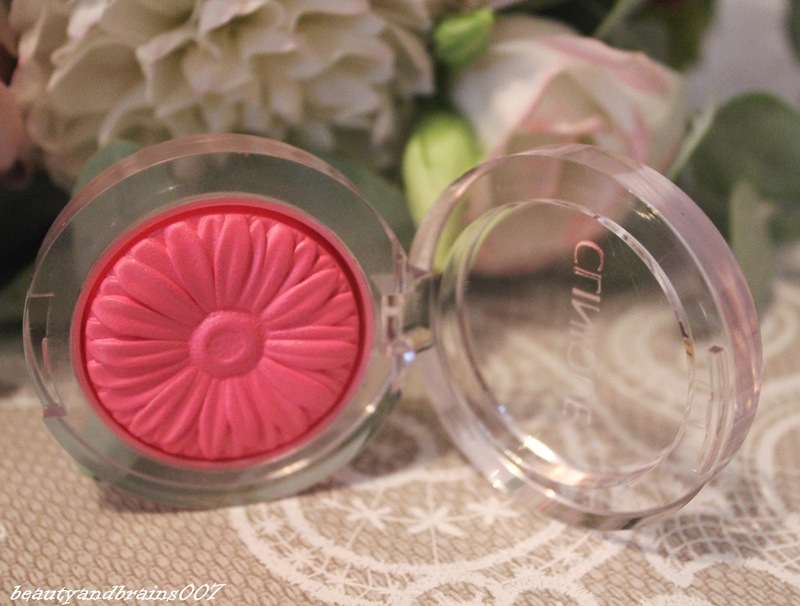 That blush color is amazing!! !